Welcome! You have entered a true-scale, walkable exhibit of our Solar System. Imagine that the entire Solar System is proportionally scaled down, until it is about 5 billion times smaller than actual size. This reduces the Sun to about the size of a basketball. Now imagine starting at the Sun, and walking away from it in a straight line. How far would you have to go before reaching the orbit of each planet? And how big would each planet be? This diagram answers those questions by illustrating the sizes of the planets and their orbital distances relative to the Sun’s scale and position. You will notice that, in addition to the planets, the orbits of the largest moons are also shown. This diagram includes all planetary-mass objects in the Solar System, out to the orbit of Neptune (list). At this scale, many of these objects are roughly the size of a grain of salt, almost too small to see. No planet has a perfectly circular orbit. Rather, all orbits are elliptical to varying degrees. This means that over the course of a full revolution around the Sun, each planet reaches a point where it is closest to the Sun (its perihelion), and a point where it is farthest from the Sun (its aphelion). In this diagram, each planet is shown at the distance of its semi-major axis (which is essentially its average distance from the Sun). However, there are also markers indicating each planet’s perihelion and aphelion. Each planet has its own smartphone code, which you can scan to read more about its orbital eccentricity. 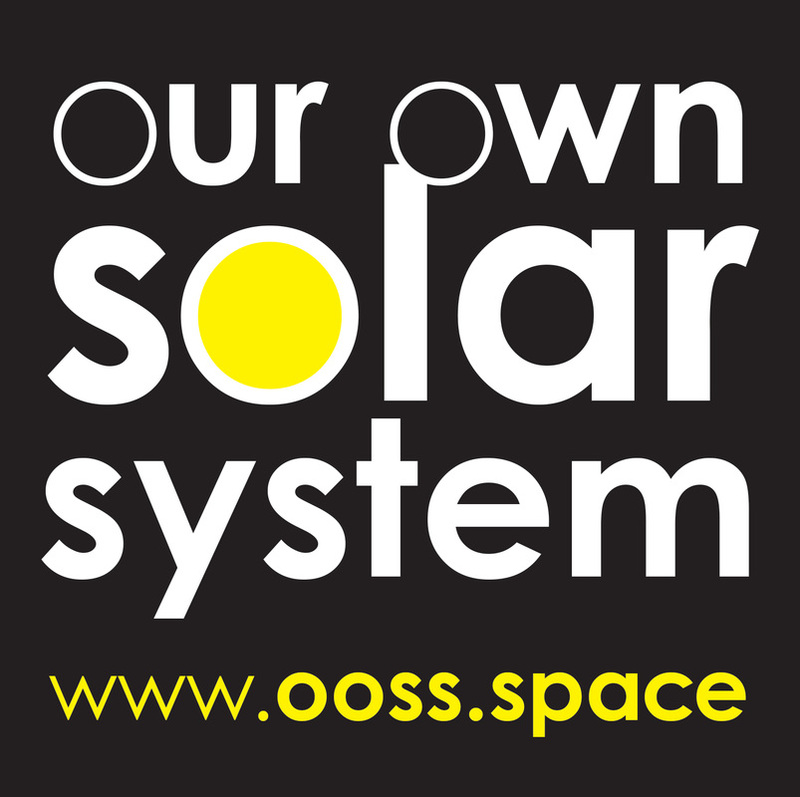 There you will also find a few other interesting facts about each solar system object, as well as links to pages with more comprehensive information.